Benjamin Button – a name that has become so ingrained in our modern mainstream culture that it transcends the original short story. Brad Pitt probably has a lot to do with that, but the strength of the concept is the biggest hook. The story itself? Meh. It’s simply not that good. 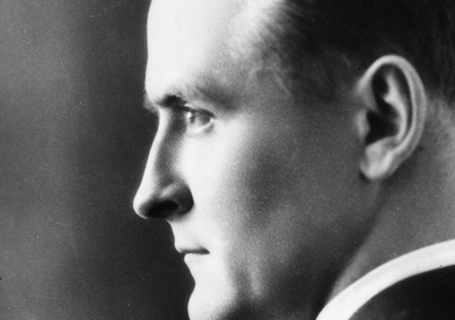 Certainly, you’d think a writer of Fitzgerald’s caliber – even at the age of 26 – could have done far more with the idea than the tepid bio-sketch we get here. It never really digs beneath the surface of the issues it addresses. Fitzgerald falls back on his standby themes: the pressures of social norms, the importance of financial success and the power plays between men and women. He never seems comfortable, or even all that interested, when the story stretches him into new subject matter. But never mind. It’s a great idea – the man who ages backward. Never dismiss the power of a great idea. And that’s quite a trick on Fitzgerald’s part. age, and could have passed for brothers. As much as I enjoy Fitzgerald, “meh” is as good a term as any to use for this story. I thought the story was too short and the movie too long. It’s weird, right? It seems like he had an idea strong enough to sustain a novel, but he kind of just threw it away on a nothing story.